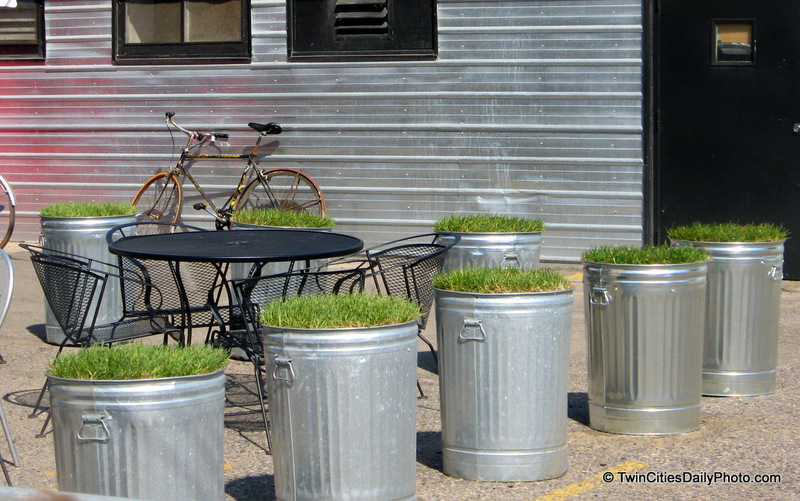 Found these grass filled trash cans back in 2006 when this blog was only a couple months old. It's always been a favorite for some reason. 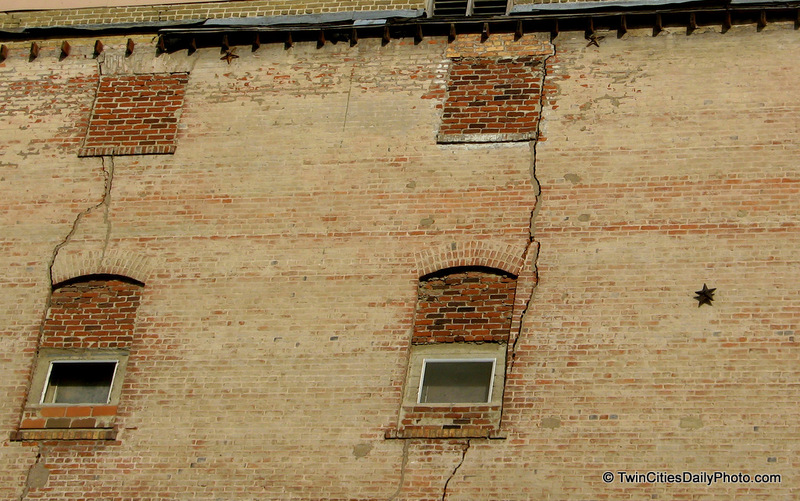 One from the Hastings Flour Mill. You may have to make the photo bigger to see it, but there are three metal stars in the photo. One on the right and two near the roof line. What is the purpose of these stars? 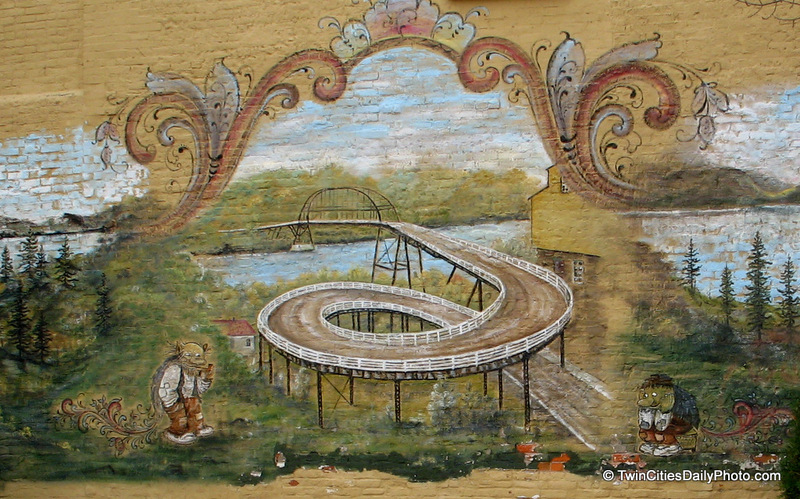 A great mural of the old Spiral Bridge in Hastings. I'm not sure of the purpose of the two trolls, or the feathers that appear to come from their backside, but bridge is quite the sight.